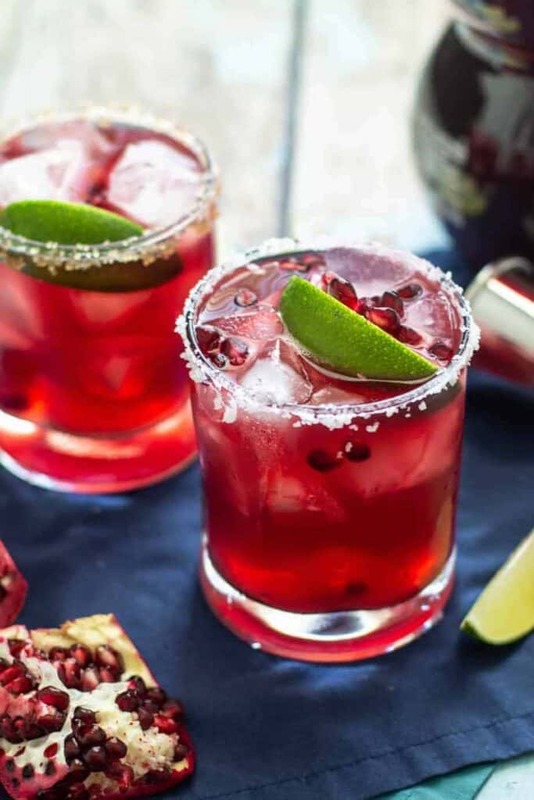 These Pomegranate Margaritas are tart, not too sweet, and would be perfect for sipping on Cinco de Mayo. Although, now that I’m looking at these photos again, I think they’d make a pretty fantastic Christmas-time cocktail, too, given the color palette and all. Okay, let’s be real, they’d be great no matter what time of year it is. 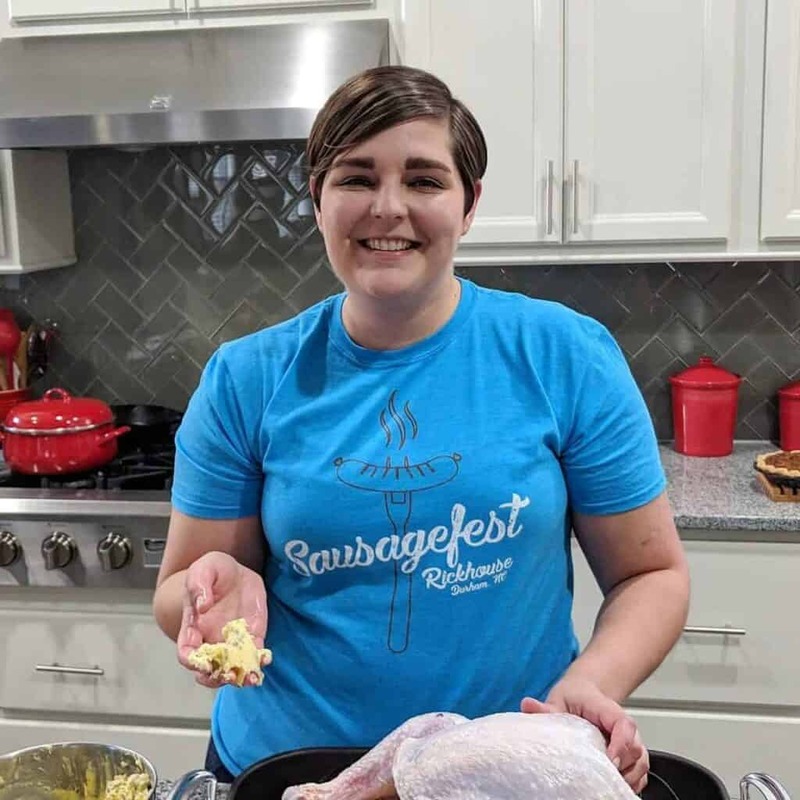 I’d highly recommend serving these alongside some Pressure Cooker Carnitas or Slow Cooker Taco Chicken. Serve them up taco-style, in a burrito or quesadilla, or just on their own. Maybe alongside some Cilantro Lime Rice? Rub a wedge of lime around the rim of a margarita or rocks glass. Turn the glass upside down and press the rim into the coarse salt or sugar. Add ice to the glass. Set aside. 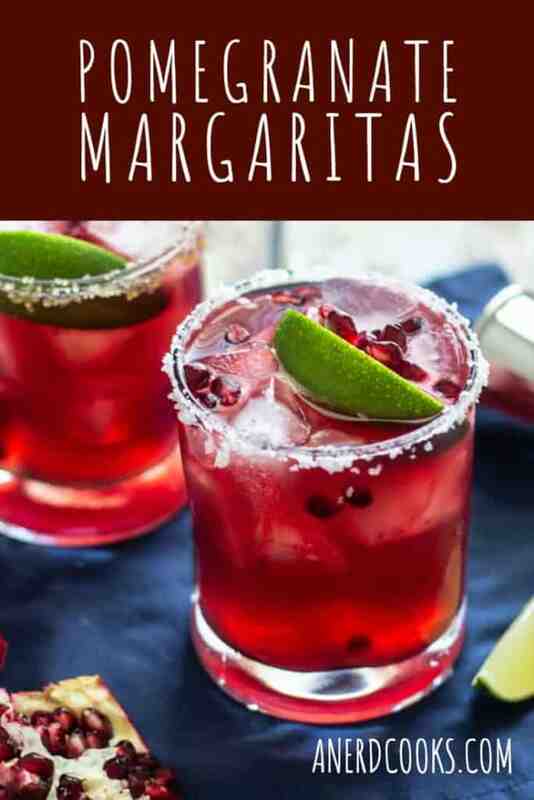 In a cocktail shaker with ice, combine the pomegranate juice, tequila, triple sec, simple syrup, and lime juice. Shake until very cold and strain into the prepared glass. Garnish with pomegranate arils and a lime wedge. Note:simple syrup can be found here The recipe for . 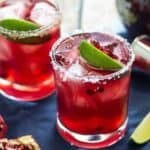 Looking for more tequila-based cocktails? 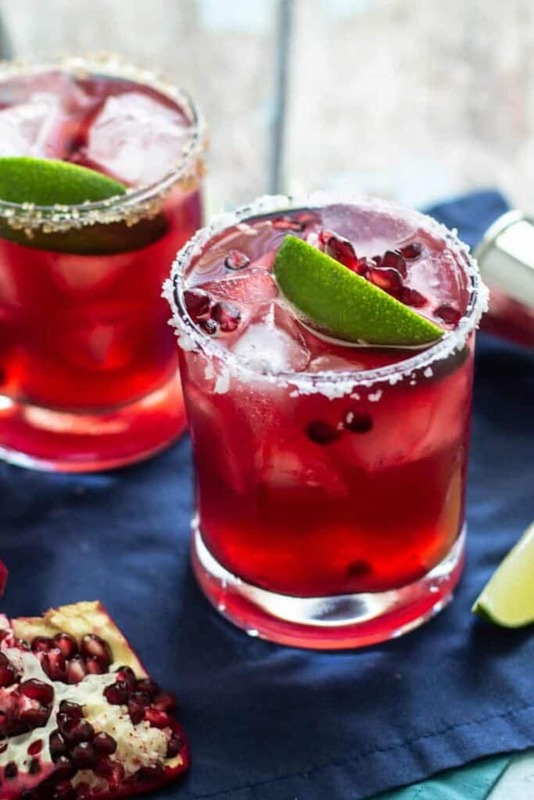 Try these Apple Cider Margaritas, Mexican Moscow Mules, or a Pomegranate Palermo! In keeping with the pomegranate them, these Pomegranate Champagne Moscow Mules ain’t bad, either!